Murder and politics make uneasy bedfellows in this gripping debut. Rachel Carver was a crack homicide investigator for North Carolina's State Bureau of Investigation until guilt over a death in her last case caused her to quit. Even after Rachel shot a woman who may have been wrongly accused of murder, her devotion to her boss kept her from speaking out. Now, a desperate plea from Danny Braddock, her former partner from the Raleigh Police Department (where she worked before moving up to the SBI), brings her to a small town west of Asheville that’s immersed in a tough murder case. Danny’s boss, whose county commissioners have targeted him after a botched investigation, hires Rachel as a consultant. The small department is eager to learn, and Rachel’s expertise, especially in how to keep meticulous records that will hold up in court, gets them up and running on the homicide. Dean McGrath has been found stabbed to death in his home. The crime scene is suspiciously clean, and an autopsy reveals that McGrath was hit with a round object before he was stabbed. Rachel’s discovery of a baseball bat proves pivotal, but she’s more interested in motive. One of the county commissioners is convinced that the death had something to do with drugs and biker gangs, a theory the SBI adopts when it finally sends in an agent to investigate, but Rachel isn't convinced. When another victim is found murdered in very similar circumstances, a hair and blood traces from the bat may provide the evidence needed to convict their suspect. Once more, however, Rachel wants to know why the two men were targeted and returns to their school days looking for answers. Her romantic entanglement with Danny is sidelined when more murders follow. 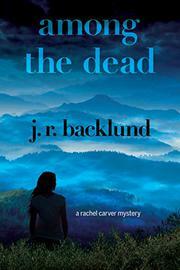 This time, Rachel resolves, political pressure won’t keep her from finding the truth. A procedural with a complex heroine and a torrid pace. This series kickoff is at once credible, moving, and suspenseful.